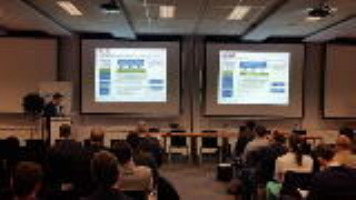 Following the three successful editions in 2011 (Prague), in 2013 (Milan) and in 2015 (Birmingham) CENELEC decided to organise this fourth edition of the workshop "ICT on TRAINS", to be held in Brussels on 27-28 September 2017, hosted by Infrabel. This acknowledges for the increasingly important role that Information and Communication Technologies (ICT) have in the railway sector, as they are the basis for more attractive, comfortable and added-value services for travellers. The focus of this workshop is on digitalisation and security, which represent the next key challenges for railways. If you wish to get more information, downloading documents and possibly receiving news, please login. If you do not have a password yet, please register here.